New blogging project: TEDucation goes live! As a result of my love of the many learning possibilities presented by www.TED.com, I’ve finally got around to putting into existence an idea I’ve had for about two years now. I have created a new blog site, www.teducation.posterous.com. The purpose of this site is to capture, organise and create an interactive and reflective learning space that is regularly refreshed by the inspirational speakers of TED Talks and TEDx Talks. My entire learning philosophy is underpinned by my conviction that we learn best when we are both outward looking and inward thinking. This means that I feed my insatiable curiosity by listening, watching and learning from as many different people doing as many different things in as many different fields. So, if businesses are finding new ways to interact with their clients, then maybe there’s something in what they find out that can be used by us to find new ways to interact with our students. Alternatively, if sport has some insight on motivation, then I reckon we can probably use this in a range of contexts when we’re inspiring young people. I reckon that TED talks offers a rich environment for us all to collect some pretty good ideas when it comes to how our students are motivated to truly involve themselves in their own learning journey. 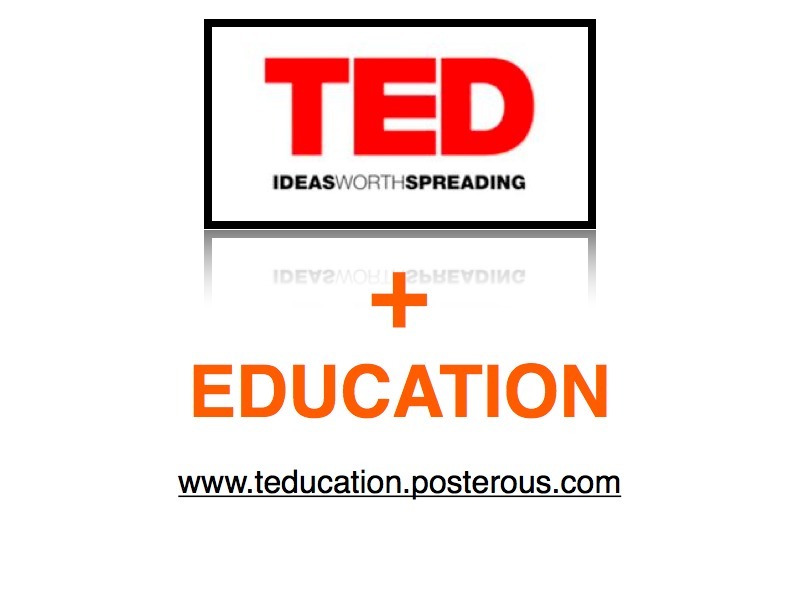 I am keen to hear from others using the comments section or emailing me with their own favourite TED talks for learning, so we can build a bigger resource bank of TED-inspired ideas for learning. I hope you enjoy the site and get involved with the TED talks here. This entry was posted in Uncategorized and tagged C21st Learning, connections creativity by fullonlearning. Bookmark the permalink. What you are doing here is really useful – I will be sharing it with my students and colleagues. When I look at it now, there is only one picture – is this how it should look?PS Was at TEdxBrighton on Friday – the physical experience is powerful. My wife (AST maths) is planning to run a TEDxKids as this sort of thing really needs to be directed more towards those with the greatest hand in the future. Ooh TEDx Brighton sounds good – will there be footage available? I’d love to be a part of TEDx for young people. Let me know how it goes. I’ll be suggesting it to the teachers and schools I work with.Re-the one picture, yes, it is supposed to look like this. People can then click on the link to go to the http://www.teducation.posterous.com site. It’s getting a lot of very positive feedback, which is great. I’m hoping that people will start to guest blog with their own TED talks. Perhaps your wife would like to contribute a TEDxKids talk when it’s done?Thanks again for your feedback, Peps. I can’t believe no-one has done this before, it seems so obvious now! I’ve often talked to staff about the latest TED talk that I found inspiring, now I can point them to your blog.Best of luck with this, Zoë, I look forward to contributing as well.